Congratulations to Jim Smeaton from Charles Rutenberg Realty our $10,000 Contest Winner! View his winning video Here! Everyone who entered our 10k Realtor Contest will receive a $100 ProspectsPLUS! Gift Card! Thank you everyone for your support and wonderful contributions! Watch our Contest Winner Announcement Video that ran Live on Facebook to see all the action and our other semi-finalists Here! Make sure to Sign-Up for our Newsletter to get the latest updates on contests and promotions for your chance to win !!! Make sure you tune in for our LIVE Announcement Wednesday at 1:00pm EST on Facebook! A SPECIAL SURPRISE WILL BE REVEALED FOR EVERYONE WHO ENTERED! Videos will appear in News Feed and on the broadcaster’s Page or profile while they are live. Once a broadcast has ended, live videos are eligible to show up everywhere that other videos appear. We’re almost at the finish line! Don’t let your chance to win $10,000 fly away! The contest ends in four weeks! Our team is having a lot of fun seeing the creativity some contestants are putting into their entries for the 10K Realtor Contest. Randi Giles is just one of them. I caught up with her to get some perspective on what she’s doing to stay top of mind, top of market, and in touch with the VIPs in her sphere to keep those referrals coming in. A: I am a native Rhode Islander, hailing from the gorgeous seaside town of Bristol and working as a realtor in Warren RI. Recently I moved to Providence and enjoy all the art, culture, restaurants and business that the state capital has to offer. Q: From your Master Marketing Schedule entry – you look like you have a sense of humor as well as a keen eye for marketing. What do you like about having a tool such as the Schedule to help springboard ideas and keep agents on track? A: I am a super visual person. So, having a large format poster to look at reminding me to take action is very helpful. Q: You said you liked the Kiss the Landlord Goodbye tip. That’s a popular series with agents. Do you work with a lot of first time home buyers – and do you have any tips for that niche for our readers? A: I love working with first time home buyers. The tip I have for agents working with them is to make sure you go through every aspect of the process with them and manage their expectations. 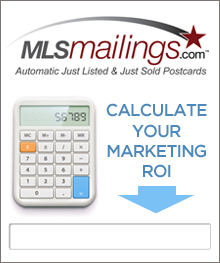 Q: I know you’re a fan of our Automated system of Just Listed/Just Sold postcards, www.mlsmailings.com. What do you like about that system? A: The automated system is so easy to use. It takes a matter of minutes to order and I don’t have to worry about copy, design, printing, or mailing! Q: What are some of your favorite ways to stay in touch with the VIPs in your sphere of influence? A: I like to send out handwritten cards to my “Top 50” at least twice a year. Q: What makes you unique in your market? A: I am lucky enough to work for a great private brokerage that handles a lot of specialty properties. 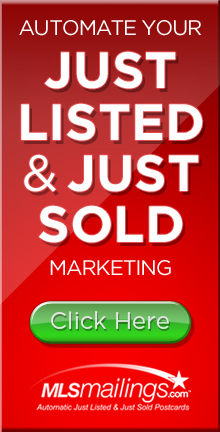 The Link Agency specializes in finding solutions for clients with unique property needs or with unique situations. Q: Prospecting is a tough subject for a lot of agents—and sage advice? Q: What’s one outside-the-box idea that you think agents would benefit from in today’s competitive market? A: I think being true to yourself and being a genuine person will go a long way. Finding something that you’re interested in. If you already do well in an area, try to find a way to fold that into your Real Estate work can help a lot. An example off the top of my head is photography. If you have a great camera and an eye for composition, you can offer your clients something maybe other agents don’t have. Thanks, Randi! You’re awesome. 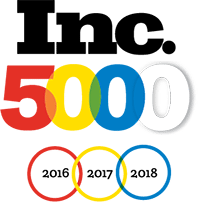 If you’d like to learn more about the products and services that are helping make Randi’s business easier (and thousands of other agents as well) – visit our site at www.prospectsplus.com or call our team at 866.405.3638. Be like Randi! Jump into the contest!